Ah, it’s that lovely time of year again, when you get your receipts and paperwork in order and file your income taxes. Confused about what you can claim? We’ve got some answers here that may clear things up. 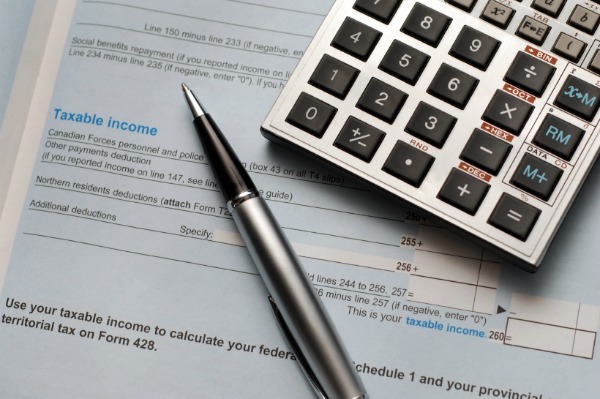 Before you know it, income taxes will be due (as a reminder, they’re due April 30, 2012). Rather than wait til the last minute, why not file now so you can get it off your plate early for once? To help you cross you off your to-do list, we checked in with Richard McCann from Intuit to get some insight about some scenarios we’ve been wondering if we can write off. (Psst, if we haven’t addressed your income tax questions here, Intuit now offers expert tax advice on the phone for free 24 hours a day, 7 days a week — yes, you read right, at no charge). Can I claim my basement gym in the Home Renovation Tax Credit? Unfortunately, no. “The Home Renovation Tax Credit is not available this year,” explains McCann, adding that it hasn’t been available for a few years. However, if you haven’t filed taxes in a few years and installed the gym in 2009 and you’re just now getting around to filing your 2009 taxes, then you can claim it on your 2009 taxes. Remember, though, that only the portion of the renovations that are permanent, such as the plumbing, drywall and flooring, can be claimed. You cannot, in this example of a home gym, claim your elliptical machine, stationary bike or Bowflex. Can I claim my mom as a dependant? She has a job and owns the house we live in. If she earns less than $10, 382 in income, then yes, you can claim her as a dependant, even if she owns the house. If she earns more than that, then you cannot (even if you’re footing some of the bills). Same applies for parents with adult children living at home, explains McCann. If your adult child’s living in the basement and earns less than $10, 382, you can claim them as a dependant. If they earn more than that, though, you cannot. What about my pets? Can I claim my vet bills on my taxes? As much as Fluffy and Spot seem like dependants (and they, of course, don’t earn any money) — unfortunately, no, you cannot claim your pets’ veterinary bills on your taxes.